Michael Moore's "Roger and Me" started a trend of advocacy movies starring One Man Looking for Answers, and the trend never really ended. 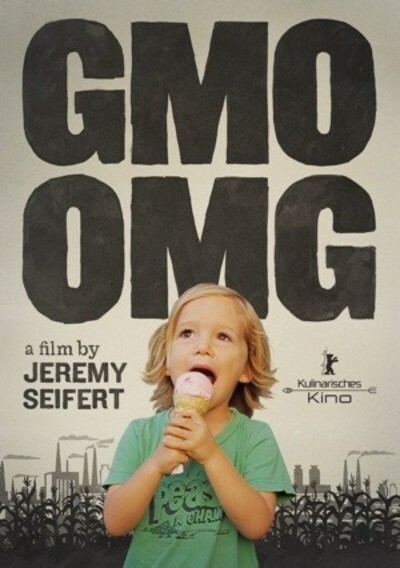 Unfortunately, most of these documentaries are made by people who lack Moore's knack for troublemaking humanist inquiry, and "GMO OMG" is another such misfire: a film by Jeremy Seifert, a concerned father who wants to protect his children from genetically modified food's potentially dangerous side-effects. At first, Seifert's quest for answers seems reasonable: he wants Monsanto, and other big corporations that promote genetically-modified organisms (GMOs) to be more accountable to their customers. But Seifert's arguments are dependent on unconvincing testimony and leaps in logic. "GMO OMG" is supposed to be an educational tool, a film designed to make viewers curious about what goes into their food. But Seifert is usually torn between preaching to a choir of already-committed activists and educating uninformed viewers. His explanations are consequently both loaded and vague. His most reasonable argument is: Monsanto and other megalithic companies should be more transparent about studies they've conducted on their genetically modified seeds. This is a crucial point, and it's a good one. But it's rarely convincingly argued in "GMO OMG." For starters, Seifert is apparently mistrustful of scientific terms, studies, and concepts. Like Moore before him, he prefers talking to salt-of-the-earth types to using data or statistics. One of the only scientific studies Seifert refers to in "GMO OMG" was conducted by Gilles-Eric Seralini, and Seifert even admits that Seralini's work has come under heavy criticism by his peers. It's telling that Seifert jokes about how confusing the science behind GMOs is. He first relates the World Health Organization's definition of "GMO": "organisms in which the genetic material (DNA) has been altered in a way that does not occur in nature." Then he pokes fun of how impenetrable scientific jargon can be: terms like "Agrobacterium tumefasciens," "vectors," and "TI plasmids" are mentioned, but one on top of the other, and without explanation. So it's not surprising when Seifert later glosses over the scientific basis for the Food and Drug Administration (FDA)'s 1992 "Generally Recognized as Safe" (GRAS) ruling on genetically engineered food. He explains that the FDA's GRAS ruling is only given after a product is "proven safe by overwhelming consensus of experts." But right after this explanation, Senator Dennis Kucinich complains that the FDA, "didn't have any scientific basis, [and] there was no peer reviews…" If that claim is true, why is this discussion framed as Dennis-Kucinich-v.-the-FDA, and not a-gang-of-skeptical-scientists-vs.-the-FDA argument? What exactly did the FDA rule was GRAS, and why? More to the point: why is this discussion lacking the basic data I need to understand Seifert's argument before I can raise my pitchfork and torch and join the ideal audience/anti-GMO mob he's trying to rally? The short answer: Seifert's asking perfectly valid and worthwhile question for the worst reasons. Both his sermon-like voice-over narration and his Mooresian working-man interviews—farmers are addressed in the fields where they work, and are therefore never just talking heads—are essentially polemical. "GMO OMG" is do-gooder propaganda. After a farmer admits that, yes, some pesticides get into his crops, Seifert does not ask, "Should I be afraid?" or, "Are the amounts of pesticide that get into your crops dangerous to consumers?" Instead, he makes his case with fiery rhetoric, showcasing a song that Haitians farmers sing about Monsanto's "poisonous" seeds, and Creationist-friendly arguments, like when he speculates that GMOs aren't good because they interrupt a plant's natural cycle of growth and adaptation. As a result, Seifert's testament to his mistrust of GMOs is only slightly more informative than the silence of what he calls the "corporate-run industrial monoculture." "GMO OMG" is a jeremiad, not a lesson for the masses, and you can see it in the way he talks about his two grade-school-aged sons. He laments that Breyer's Ice Cream's isn't really "All-Natural" anymore before he wonders aloud, "I wish I could take back the land for my children." Seifert's disembodied hand waves over a series of fields from the safety of his family car. It's dusk, and you can hear Bobby McFerrin-esque vocalizing, accented by xylophone plinking. You could get mad at Seifert for being so bad at being so nakedly manipulative. Or you could just give up all hope, and counter-intuitively root for Monsanto. This is a David-vs.-Goliath movie, but David's aim is so spotty that Goliath has nothing to fear.